Here is a game I made for the Neoflash PSP Motion Kit, because it is sooo damn cool. The goal of the game is to shake the baby without getting seen. 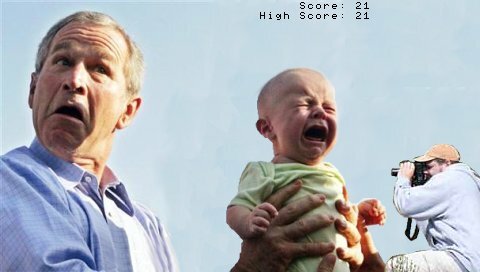 If you are seen shaking the baby, you lose your points. You win when you get 2000 points. 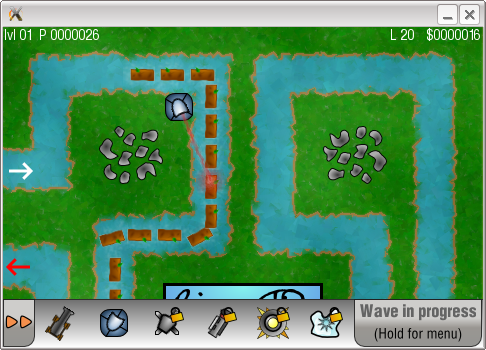 This entry was posted in PSP on November 21, 2007 by Danzel. 1.1 release should be next 1-2 days. Things in italics are done. Fix crash bug with windows endlines. 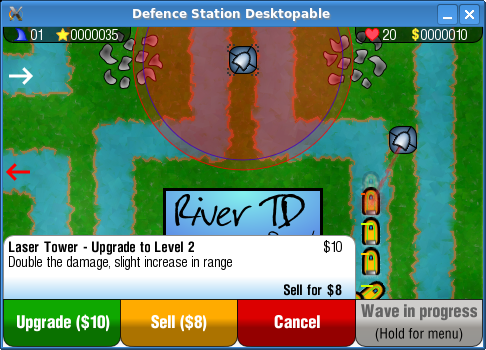 Rebalance ‘river td’, add a few more waves. Render Range rings when upgrading towers. 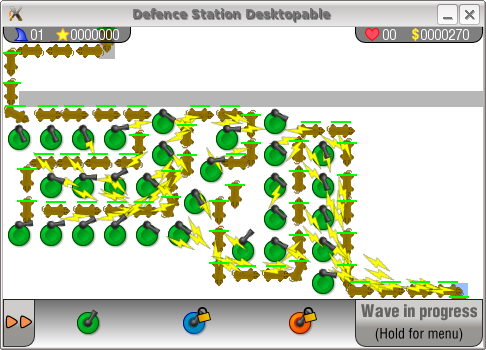 Load enemies only when needed. Skinnable game over / you win. Fix tower placing to round better instead of truncating. Fix InGame Menu, should return to previous state. 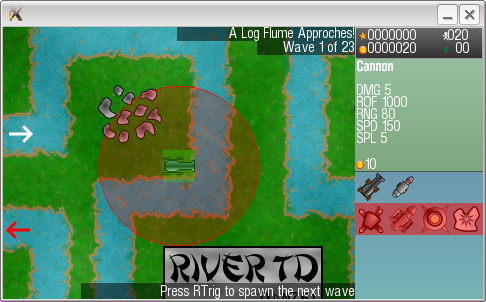 Further Shot Types for Shot engine. – Investigate changing render functions to take floats instead of ints. If you use an ordered insert into the instances lists, then when rendering it will be more efficient (render same sprite all at same time). 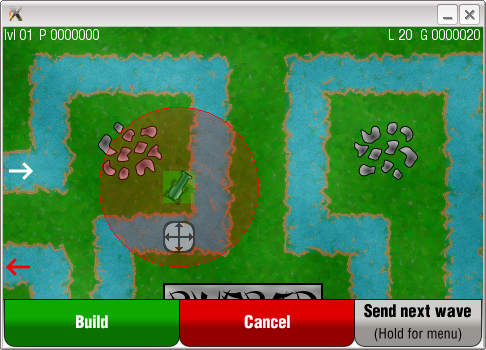 Render ground enemies THEN flying enemies. This entry was posted in DSP, PSP on August 27, 2007 by Danzel.